Republican gubernatorial candidate Bill Bryant’s campaign says Gov. 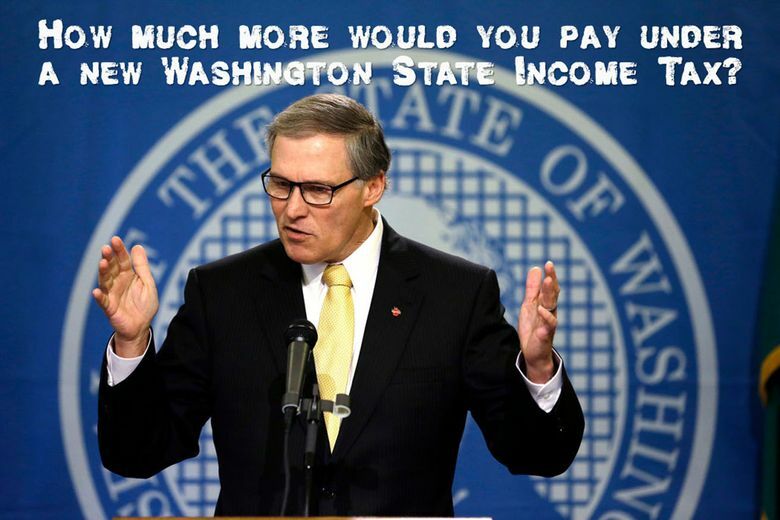 Jay Inslee supports a state income tax, and even has offered an online “tax calculator” to show how much voters would pay. That claim is misleading at best. 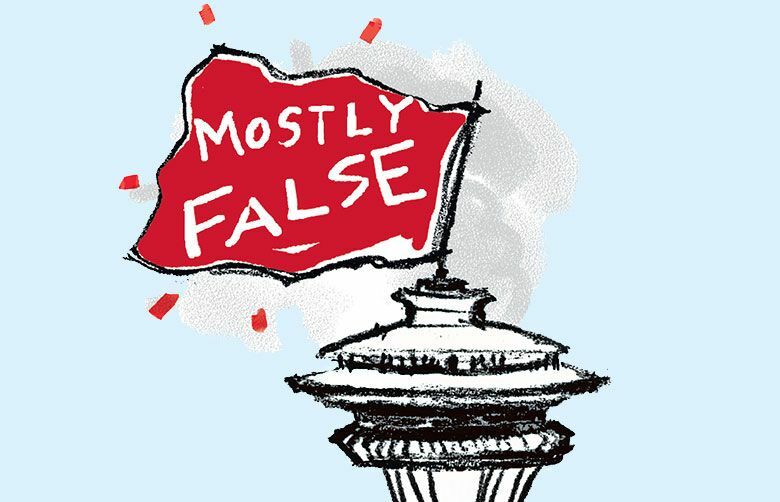 What we found: Mostly false. Inslee does have credibility problems on taxes. When running for his first term in 2012, he said he opposed new taxes and would veto them. He broke that pledge in 2014, proposing $1.4 billion in new revenue, including new fees on carbon emissions and a tax on capital gains targeted at the wealthiest Washingtonians. Those proposals faced strong Republican opposition and were dropped as the booming economy boosted existing tax collections. But Bryant’s tax calculator is misleading at best. It is based on a bill introduced by state Sen. Maralyn Chase, D-Shoreline, that would have created a progressive state income tax, with rates of 2.2 percent for lower-income people on up to 6 percent for higher-wage earners. That bill had zero co-sponsors, did not even receive a hearing, and was not backed by Inslee. “I wish he would. I think it’s unconscionable that he doesn’t support an income tax,” Chase said. Inslee has said repeatedly he does not support a state income tax, even though the state Democratic Party platform does back one. The governor also did not back an income-tax proposal issued by state Treasurer Jim McIntire last year. “He does not support an income tax … The governor has been clear as day,” said Inslee spokesman Jamal Raad. In a news release, Bryant waved off Inslee’s assurances as meaningless, given his record on taxes. Bryant is on firmer ground in tagging Inslee for support of a tax on “capital gains incomes,” as his campaign put it in a news release. Jason Roe, a Bryant spokesman, said it’s perfectly fair to call the capital-gains tax a sort of income tax. But that tax, as proposed by Inslee, would have applied to only about 1 percent of Washingtonians. It would have put a 7 percent tax on profits from the sale of stocks and other investments above $50,000 annually for couples, with exemptions for retirement accounts and home sales. Bryant’s tax calculator and related attacks seek to muddy the picture and make it look like the governor has proposed or supported an income tax that would affect far more taxpayers. Because of that, we rate this claim mostly false.